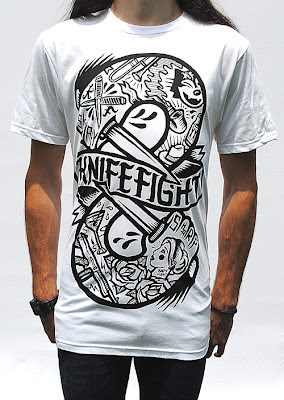 I’m disappointed I’m just discovering Knife Fight, as I would have purchased the snapback hat they had in their last release. Their latest “Armed” t shirt is pretty sweet. The thick, black lines make the design look as though it was painted with a sumi brush. One lucky, random order of this shirt placed this weekend in their online store will also receive the “Flannel Logo” t shirt for free.